It is not difficult as it seems to be if you want to find real ways to earn money online. In fact, there are so many creative ways to make money out there waiting for you to explore. And I am going to share with you several of the more realistic and legitimate ways so you can save time searching. But these require real work. In general, there are two types of income. Active income. Income for which services have been performed. It means you have to put in some effort and work in order to receive that income. You are actively exerting some energy and time towards that income. You are not hands-off. Passive Income. Regular Income that you earn with little or no effort required to keep it coming. Most of the time, you are hands-off. People who are serious to earn money online should set your goal towards achieving passive income. Having said that, both passive and active income can (or should) run parallel too. Active income can help you survive while you focus on passive income that can make you thrive. As promised, here are some realistic, legitimate and 55 best ways you can earn money online, either by trading your “time for money” or “money for money”. Writing is definitely one of the most popular ways to earn money online. Freelance writers can easily earn up to 50 cents to a dollar per word. Some experienced writers can even earn twice or thrice than that! If you’re not an experienced writer, expect to put some time in before you really start to see some real return. There’s no doubt you can earn money online writing for others, but it’s a process. Before you decide to approach freelance writing companies, you must first build up your profile. This can be done with a dedicated blog or you can create a profile on LinkedIn, which many are doing. Once you have your online portfolio, here are 10 websites you can start with. Listverse. For each accepted post, Listverse pays $100. The article must be 1,800 words or more and include at least 10 items in each list. Content is based on a list of things. Here's review about Listverse if you are keen to write for this website. International Living. For each accepted post, International Living pays $75. They focus content about travel experiences from countries you have visited. Your writing ability is secondary as they are looking for writers with excellent content. TopTenz. For each accepted post, TopTenz pays $50. Same like Listverse, article has to be in a list format and it must be at least 1,500 words. TopTenz posts very frequently so your articles have good chances of getting accepted. 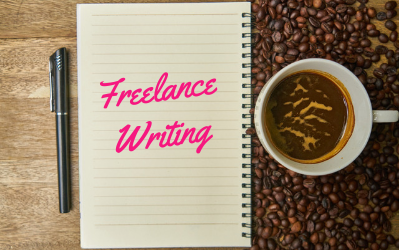 However, they are currently putting on hold this freelance writing and instead use in-house writers. A List Apart. For each accepted post, A List Apart pays $200. You might have smaller chance of getting accepted as they seem to publish less articles. 1,500 word is the minimum. Matador Network. For each accepted post, Matador Network pays a maximum of $60. However, standard pay is around $20-$25. Rather than focusing on minimum word count, you cannot exceed a maximum of 1,500 words. FundsforWriters. For each accepted post, FundsforWriters pays $50. Unlike others, they only accept articles between 500-600 words. You need to make sure each word counts. They look for articles about writing and ways to earn money with it. Uxbooth. For each accepted post, Uxbooth pays $100. They can take four to eight weeks to accept and post articles. The reason they take so long is because they only publish amazing content. iWriter. For each accepted post, iWriter pays up to $15. Small pay, but they are less stricter than many others. You pick the topic that you want to write. Is up to you to write as many or as few articles as you want. Textbroker. If you are a 5-star writer, Textbroker pays from 1.3 up to 7.2 cents per word. Is a great place to start writing with Textbroker if you are new. I’ve written a review about Textbroker based on the experience my friend Jack had with them. The Penny Hoarder. This is one has a unique business model. The amount paid by Penny Hoarder depends upon number of page views your article receive. Under very rare circumstances, it can pay up to $800 per article. Starting pay for 50,000 page views is $100. Despite it isn’t a guaranteed paid article, it can potentially be highly rewarding if your article gain popularity. Investment in Peer-to-Peer Lending (or P2P lending) is one way to earn money quicker (with risk) when you have some money to offer. P2P lending allows you to lend money directly to borrowers without going through a bank or lending institution. P2P lend to smaller companies who have the potential to grow but can’t meet the high requirement of banks for loans. To start investing in P2P lending, you only need to open an account with your chosen platform, deposit funds and then begin to review potential borrowers. However, there is risk associated with this type of investment and high default rate is observed in China. Each P2P lending site is different and have individual criteria to start. The required minimum investment varies by platform (can be as little as $25). Prosper Marketplace. Founded in 2005, Prosper Marketplace offers the first ever P2P lending in U.S. Loan funded totalled $12 billion with 810,000 members. Loan amount starts from $2,000 to a maximum of $40,000 with 3 or 5 years term. Annual Percentage Rates (APR) ranges from 5.99% to 36% per annum. Minimum investment is $25. Prosper Marketplace charges investors at a rate of 1% on current outstanding loan as annual fee. Lending Club. Founded in 2007, Lending Club is the world’s largest P2P lending. Loan funded totalled $20 billion. Loan amount started from $1000 to $35000 (for individuals) and $15,000 to $300,000 (for businesses) with 3 to 5 years term. APR started from 5.99% to less than 30%. Investors must deposit $1,000 in order to start investing on Lending Club. Lending Club charges investors at a rate of 1% of the amount of borrower payments received. Peerform. Founded in 2010 by Wall Street executives, Peerform is another popular lending marketplace. This platform offers loan in the range of $4,000 to $25,000 over a 3-year period. Its APR falls in the range of 7.12% to 29.99%. Unlike other P2P, in order to invest on Peerform, you must be an accredited investor as defined by Securities and Exchange Commission. Peerform charges an average of 1% fee of the amount invested where fee varies individually. Upstart. Founded in 2014 by a bunch of ex-Googlers, Upstart has the lowest default rates across the industry. It targets young professionals with over 90% borrowers are small businesses and college graduates. It offers loans in the range of $3,000 and $35,000 for fixed periods of 3 to 5 years. APR ranges between 4% and 26%. Minimum investment is $100. The way Upstart operates differs in many ways from other P2P lenders. The company makes its money solely on origination fees from the borrower which can be as high as 8% (highest in the P2P lending industry). Upstart will refund the investors using the origination fee if a loan defaults. This means if loans go bad, Upstart loses. Cyytocurrency is one investment everyone is talking about. Some invested and lost a lot, some others became rich overnight. Created with the revolutionary blockchain technology, I believe cryptocurrency is the money of the future worth investing. If you decide to make money with cryptocurrencies, you must be aware of market conditions. When a coin drops in value, you might have to wait until it rises again to sell — or if a coin can’t sustain with low market demand, then your losses are permanent. Trade Cryptocurrency. The straight forward investment is to buy coin, wait for the price to appreciate then sell to make a profit. Just like trading stocks, there are different exchanges of cryptocurrencies that allow you to buy or trade coins. One of the most popular exchanges is Coinbase. If you have no prior experience in cryptocurrency, Coinbase is one of the best ways to get started, thanks to its clean interface. Some other exchanges are mentioned in Forbes. Dividend. There are a few cryptocurrencies that offer annual ‘dividends’ ranging from between 5 to 10%. Dividends will be paid to the investor in the form of cryptocurrency. You might be thinking that 10% is on par with stock market returns, but don’t forget crypto dividends are compounded by any future growth of the base currency which can be pretty fast to appreciate. Some projects providing “cryto dividends” or passive income are ARK, NEO, Vechain, PIVX and Stellar. Mine Your Own Cryptocurrency Coins. Finally, it’s possible to mine your own cryptocurrency coins. Mining is the process of creating coins, by running a computer, or most of the time a special device, that makes calculations. Today, with so many miners working with their rigs, it can be difficult if you want to make money with cryptocurrencies through mining. You need powerful graphic card and it can be quite expensive. Today you can mine cryptocurrencies such as Bitcoin, Ethereum, Litecoin or Zcash. Freelance with existing websites is one way you can immediately make money online. Most require you to offer service or skill to get paid. Some frequently provided services are graphic design, social media maintenance, photography and web development. You can choose to earn passive or active income, depending on how quick you want to get paid. Upwork. This website is a great marketplace for selling any professional service ranging from web & content development, graphic design, SEO, managing social media, etc. You don't need a merchant account, website of your own or anything else to start. However, high-quality service at a reasonable price is important to land you a job because only the best will win the bid. You will have to compete with others for open jobs. Cafe Press. This website is most suitable for people with creative skills. It allows you to create digital designs that can then be sold on the site. Buyers will select design to be printed on premium items that they want Café Press to produce. For everything that is sold with your design, you will earn a commission. This is like a passive income in the form of royalty. You never have to deal with printing, warehousing or customer service as Café Press will take care for you. Another Chicago-based site similar to Café Press is Threadless. Fiverr. Started in 2010, Israeli-based Fiverr is a great resource for selling just about any service online. Gigs are offered as low as $5 but you can also get paid much more for add-ons. Despite starting amount per gig is small, there are still many freelancers earning 6 figures income on Fiverr. If you can provide serious value, it’s indeed worthwhile for generating a healthy income. Mechanical Turk. Amazon's Mechanical Turk, commonly refers to as HITs, is a resource for doing human-intelligence tasks. With given small fee for any HIT, you'll need to provide volume to make a substantial amount of money. Is best to use in your spare time to generate a small income online. Flippa. It is a site where you buy and sell websites for a profit. You could easily make a substantial income by flipping income-generating websites. For example, when you buy website with sizeable traffic, you can promote affiliate products of the same niche. Some web developers will buy online and sell the website offline to their clients at a profit. Shutterstock and iStockPhoto. For photographers out there. Why not sell photos on some of the leading photography sites. You might need some design software skills to tag along. But if you do have skill in this area, you can earn passive income by collecting royalty. Craigslist. This site has been a good resource for over a decade now for people that are looking to make a little extra money online. You can easily sell your used stuff, rent out a spare, and offer up your services to your specified community. There is no need for you to open an account to post, however functions are limited. Each post has limited lifespan. Survey or GPT sites: There are may survey or get-paid-to (GPT) do something sites that let you earn give cards and cash when you do simple things for them like doing survey, try new products or services, watch video, searching online or even get cashback when you buy something through their sites. Other than Survey Club and SurveySpot which you should avoid completely, if you are interested to do survey or simple task to earn extra money, then I recommend you to try Swagbucksand FusionCash. Work at home is the trend now. Many companies will hire you to work from the comfort of your own home. If you are still comfortable working for others, but want more flexibility that allows you to work anywhere you want, here are a few companies that will let you do just that. (most are eligible for U.S. residents). SpeakWrite. SpeakWrite is an online transcription company that serves over 65,000 legal, government, law enforcement and private businesses. Fast typists can earn up to $3,000 per month. SpeakWrite pays you up to $15/hour to transcribe information. You set your own working hours, work from home at the same time make great money too. CrowdSource. There are many types of jobs offered by CrowdSource ranging from microtask jobs to larger writing and editing jobs. Workers can choose from a catalog of tasks and work on their own schedule. You decide how much work you want to take on and most can be done right at your computer. Fast Chart. Fast Chart allows you to work from home as a medical transcriptionist. You need to listen to voice recordings of physicians and other healthcare workers make, then convert them into written reports. There are some qualifications listed on its page, but if you meet them, you’ll make competitive pay for the industry. Similarly, you can set your own schedule since you’ll be working from home. Leapforce. All Leapforce “At Home” independent agents have the flexibility to schedule own hours to fit preferred lifestyle. Agents provide services to conduct search engine evaluation for Leapforce’s clients. To quality as agent, you are required to pass 3 tests to assess your comprehension of search engine evaluation (only one test retake allowed). Once hired, you make decent money (usually over $11/hour). Liveops. Unlike other call centres, this is one that allows you to work from home. Once your set up to take the calls, you can begin making a weekly schedule working at home. According to their stats, you can earn $200 for 20 hours work a week, close to $10/hour. Of course, you can earn more with commissions. Demand Studios. Owned by the public-listed Demand Media, Demand Studios hires all kinds of creative professionals, from writer to filmmakers. The pay isn’t amazing because content creation for Demand Studio is not really making money. However it is competitive for a work-at-home job. Sell own products is one of the quickest ways to start earning money online. You can sell used items or products like apparels, crafts, health food, services or anything you are passionate about. Many e-commerce sites like Wish, eBay and Etsy are powerful sales and marketing platforms with millions of regular shoppers. It is easy to setup online store in these sites for customers to browse your products. When you leverage on them, you avoid high expenses and hassle of setting up own eCommerce website. Other than these, you can also sell on Facebook. But if you prefer to build your personal online store for whatever reason, Shopify will be a better choice. Shopify Ecommerce. An all-inclusive online selling platform with 1,000,000 active users and 100 international payment gateways to choose from. You could opt to create a Shopify store or install WooCommerce as a plugin to run your ecommerce store from your blog. It is easy to create and customize your online store. Charges monthly subscription starting from $29 per month with 14-days free trial. You can also integrate Amazon, Rakuten and other marketplaces to handle your products for you. eBay. A pioneer in eCommerce where everyone in the industry would have heard of. This vibrant worldwide marketplace has millions of potential buyers and is still a very popular platform to earn money online. No listing fee to list up to 50 items a month, and 30 cents a listing if you go beyond that. Seller only pay 10% final value fee of each sale made. However competition is intense in eBay. Etsy. Sell on Etsy if you like to create arts and craft. It’s free to open an Etsy store. Just sign up, post pictures of your creation, and start selling to 33 million buyers around the world. Listing fee is USD$0.20 per item and they take 5% of every sale you make. Etsy will be launching full set of advanced tools in 2019. Another similar site is Zazzle. Facebook. Facebook swap shops (setup in Facebook group) are great for selling things locally. Just search for swap shops in your area and request to join the group. Once you’re in, take a picture of the item, write a quick description with the price and post in the group. Another option is to sell at Facebook Marketplace. However many people are complaining that the “marketplace icon” is not showing up on their phone and desktop. Another alternative is to sell of Instagram. Here is how you can become Instagram influencer and earn money online. Wish. Being the 6th largest eCommerce company in the world, it has more than 300 million users from all over the world. Wish app is reported as the most downloaded shopping app globally. You can create free store and only pay when a sale is made. Should you want to sell local, Wish provide a marketplace called Wish Local. Customers of Wish is very price sensitive and in order to compete you might need to focus on quantity. There are just too many marketplaces in the world. Some notable ones in Asia include Tmall, Taobao, AliExpress, Lazada (all 4 owned by Alibaba) and Flipkart from India. For more eCommerce marketplaces, visit here. Online consulting or coaching. You can create webinar or podcast to sell your consulting and coaching products. You'll still need to build your website, setup merchant account, sales funnel, lead magnet and many other items to build your site traffic. It needs arduous setup but you can easily earn a substantial amount of money from each individual customer and it is definitely worth the effort. Affiliate Marketing involves process of promoting someone else products and get paid. You simple have to join an affiliate network, find a product to promote and earn commission when someone buy. There are many reputable affiliate networks with thousands of products for you to choose from. In certain cases, you must have an active website with significant traffic to get approved. Remember to read the T&C of each affiliate network as none is the same. Some larger companies will develop their own affiliate program and allow you to promote independently from any network. Selling as an affiliate isn't easy. You need to do research to find the most profitable product relevant to your niche. But if you do have the right audience, it can definitely bring you substantial amount of income. Many who have no idea how to start will start to think “is affiliate marketing for beginners?”. To answer this question, I've written this article to share with you how affiliate marketing for the beginners work. Amazon Associates. Amazon Associates needs no introduction. It allows you access to over a million products and offer to your customers. The commission payouts start from as low as 2.5% up to 9% on certain items. Compared to other affiliate networks, the low commission structure is a major drawback. But it does not deter many from selling on Amazon. Most products sold on Amazon are physical goods, therefore opportunity to generate recurring monthly income is almost none. Amazon Associates is easy to use, so suitable for beginners. However its payment cycle of 60 days is longer than most affiliate networks. ShareASale. ShareASale has been in business for 15 years, exclusively as an affiliate marketing network. Their platform technology and reputation as a fair and honest business is well known within the industry. ShareASale makes it easy for you to evaluate products you want to promote. The major drawback is its cluttered reporting dashboard which is difficult to navigate. ClickBank. Clickbank is one of the largest online affiliate network selling digital information products. With over 17 years of establishment, ClickBank has a vast library of over 6 million unique products reaching out to 200 million customers globally. Major drawback of this affiliate network is its 60 day refund policy causing affiliates to lose out commission when customers ask for a refund. To get paid, you need to meet its minimum sales value which is challenging for beginners. Rakuten LinkShare. Rakuten LinkShare ranks among the top three e-commerce companies in the world with more than 18 million customers and over 90,000 products from 38,500 merchants. It is one unique affiliate network that allow ads rotation and deep linking to individual merchant landing page. However it only pays affiliates once commission is paid by its partner. But if you want to start a blog and promote beauty products, then this affiliate network can be quite profitable to start with. Here's how you can start a beauty blog. CJ Affiliate by Conversant. Formerly known as Commission Junction, CJ Affiliate by Conversant reaches millions of consumers shopping online through their affiliate marketing network. Nearly major retailers have the affiliate program with CJ that makes it almost a one-stop centre for affiliate marketers. This network provides easy to compare offers and neat segmentation. However, its comprehensive reporting requires steep learning and might be too complicated for beginners. Customer support is limited owing to its large network. Email marketing is a simple and proven strategy to promote your product. Not only does this method attracts new customers, it also helps to maintain customer’s relationships. Once you have a sizeable list that regularly opens your emails, then you can monetize in many ways such as promoting affiliate products, own products or subscriptions. Here are a few email marketing service providers for you to choose from. AWeber. 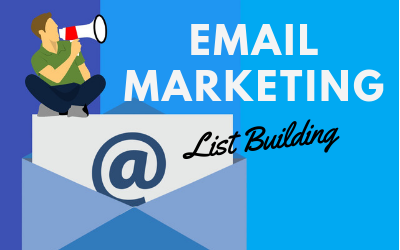 Despite not the best product of its kind, it is still a solid email marketing tool. Suitable to help small businesses automate email follow up and newsletter delivery for increased customer retention and sales. It provides 30-days free trial, thereafter priced with starting plan at $19 per month and 24/7 support. But if you’re looking to grow with more automation, then you might want to look elsewhere. MailChimp. If you're a small business looking to start a robust email marketing campaign, then you should try MailChimp. Its lowest subscription plan begins with as little as $10 per month. However, pricing plans can be confusing and reports don't automatically refresh. 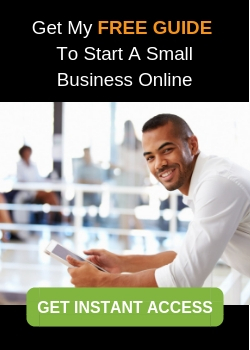 It is affordable for small businesses and includes a free plan. GetResponse. An effective email marketing platform that you can start with a 30-day free trial. There is no free plan and priced at minimum of $15 per month. Templates design could be improved. It has a solid feature set and a wealth of integrations. Strong email tracking features and powerful third-party integrations. HubSpot. This is the king of marketing automation. It is extremely popular, yet massively over-priced (starting price at $200/month) marketing automation tool aimed at small businesses. It aims to become a one-stop shop for all your customer outreach. With easy workflow creation, nice set of pre-built workflows, it works smoothly with related CRM and sales tools. Could use deeper search and SEO-based marketing utilities. HubSpot is not merely an email marketing tool but offers more than that. To understand the real benefits of HubSpot, one can only do so by signing up to become its user. One strong competitor is InfusionSoft with starting price at #199/month. Self-publish a book should be the ultimate goal of all writers. On average, it takes around 100 to 200 hours to write a 160 pages book. This does not include time for formatting, editing and promoting the launch. Figuring out where to get help for self-publishing can shorten your process, so you can focus to promote and monetize your book. Some effective ways to monetize your book includes selling on marketplaces, promote through your list, get paid as speaker or use your book as a way to persuade people to buy other products or services (a process called a sales funnel). Here are some self-publishing companies that can help you self-publish and launch the book. Amazon Kindle Direct Publishing (KDP) Amazon’s KDP is one of the free self-publishing tool you can use to publish your book online. It’s simple to use and you can start selling your eBooks on Amazon right away once published. It only takes about five minutes for KDP to publish your book, making it available on Kindle stores within 24 to 48 hours. You can offer your ebook for free on your website, or you can offer extended preview reads. KDP is a non-exclusive self-publishing platform and you are free to promote your book on other platform such as Kobo, Barnes & Noble or any other store that you want. However if you publish using KDP Select, then you can only offer your book for free up to 5 days or discount up to 7 days in Amazon. It is exclusive to Amazon and you are not allowed to sell your books elsewhere. Of course, the benefits of using KDP Select outweight KDP which can be explained here. Kobo Writing Life. Kobo claims itself as the world’s largest e-bookstore covering across 190 countries with over 4 million titles. When you published through Kobo, you are offered royalties from 45% up to 70% of the list price on you book. Authors can choose to offer their e-books for free as part of its sales funnel. Kobo doesn’t require exclusivity, therefore you are free to publish elsewhere to maximize your earnings. It is either you wait until you earn $100 or wait for six months to receive a payment. Payment can be received 45 days after the end of the month in which you earned it. With Kobo Writing Life 5-steps process to self-publishing, you’re in charge. You own your rights, set your prices, and run your own promotions. Blurb Bookstore. Blurb places emphasis on print edition, but also offer fixed format e-books, selling through its Blurb Bookstore and Apple’s iBookstore. There are various templates housed on the site to help you get started. You do not need to have any design skill at all. It charges a one-time e-Book publishing fee of $9.99. Despite paying 80% royalty of list price, Blurb will deduct 30% as Apple fee when your eBook is sold on Apple’s iBookstore. You can choose to sell your creations through Blurb, Amazon, Ingram, or Apple iBooks or pre-sell some books through Kickstarter. Smashwords. This is one of the largest distributors of e-book from indie authors. It allows you to publish and distribute your eBooks to several online retailers, like Kobo, Scribd, iBookstore, and Nook (Barnes & Noble), including tracking your sales from single dashboard. Creation and publishing are free where you only pay when your books sell. Should you sell on other retail sites, you will earn 60% royalty of your list price. But when you sell directly on Smashwords, you earn up to 80%! You even get a free ISBN, author profile page, unlimited updates to your books, eBook conversion, marketing tools, and more. Draft2Digital. Draft2Digital offers self-publishing services while supporting authors through the process. You keep all the rights to your book, but will have assistance with formatting, publishing, and then distributing your book. The site offers tracking tools to help you track your sales and profits. This company doesn’t charge anything to format and distribute your book. You only get fees taken out when your book sells. Draft2Digital will take a 10% cut of the price you list your book for. You’ll get paid via PayPal, Payoneer, direct deposit, or check once per month. iUniverse. If you have some money to spare, there are various tools and services provided by iUniverse for authors who want to publish their books, particular in print form. From editing and evaluation to design and distribution, iUniverse does it at a high fee. Its publishing packages ranges from $999 to $5,499 that includes cover designing, book distribution, ISBN assignment, and more, depending on the package that you select. Editing is not included in all packages but it can be expensive. With iUniverse, they do everything for you. They distribute your book, set maximum price, collect royalties for you, they pay them at a net of 50% every quarter, etc. Regardless, there’s also a free publishing guide that you can read to help you get started. Notion Press. If you want less hassle in publishing a book, Notion Press might be a good choice. Started in Chennai, India, Notion Press claims itself as Asia's No.1 Publishing Platform, published for over 2,000 authors and sold books to more than 100 countries. It offers DIY publishing for free and guided publishing (with dedicated publishing manager) at a fee ranging from $399 to $2,499. However its pricing and product strategies differ from country to country. Guided publishing includes services such as cover book design, publishing, printing, distribution and marketing services that are essential to make your book a success. There are multiple add-on services that you have to pay on top of the initial package that you paid for. Author’s profit range from 70% to 100% depending on the package that you choose. There is a 30 day money back guarantee. In any business, there’s definitely investment involved. It is either you invest time or money to start. Here I am going to share with you my best way to earn money online with least investment. It has helped many beginners quit their 9-5 jobs to start living a real life. There is literally Zero Paid Advertisement involved. Blogging is definitely my best way to make money online from home. As long as you find a profitable niche, pick the right domain, consistently publish engaging content on your blog, and promote offers that your audience will buy, then you are on the right track towards earning decent amount of passive income. If you are thinking to start one, I highly recommend you to read my Wealthy Affiliate Review, and find out whether this affiliate marketing community is the one that can help you start a small business online. I can't say it is the best, but at least it has effectively bridge me to where I want to go. Wealthy Affiliate focuses on free traffic strategies to generate income. Of course if you prefer paid traffic, there is also training lessons in this area. Alternatively you can try Stack That Money, a forum specialized in paid marketing if you are ready to pay more. Here are success stories of Wealthy Affiliate community that started a niche blog and make decent income promoting affiliate products. But if you prefer to build your blog without engaging with any community, then I suggest you read my step-by-step guide about Affiliate Marketing for The Beginners. From there, you should be able to start one too. There is no one best way to earn money online as opportunities are everywhere. For me, I prefer a route that can bring me passive income – that is to start a blog, get ranked on search engines, build audience list and monetize with profitable affiliate products. What I did is focus to earn money online writing, not for others but for myself, on my own blog. What about you? What is your best way to earn money online? If you too are determined to make passive income by starting a blog, then this is what you should do next. 73 Comments on "Real Ways To Earn Money Online"
Great to know that you find this article informative. If you are interested to built your website, here is how you can build one for free. I found your site to be very informative. It’s evident that you’ve put a great deal of time and effort into the creation of your site. I found the narrative easy to read. Your links worked. I may have to consult your site for a condensed version of information in the future. In fact there are multiple ways to earn money online and regardless of the way you choose you need to stick with your schedule and be consistent in what you do. You are absolutely right when you say that it takes time and effort, learning your visitors’ behaviour, driving traffic, creating content, promoting through social media and many more. It’s really hard and time consuming and requites tons of patience but it will pay off later. You are right. Everything comes with effort. There is in fact not much shortcut when it comes to building a sustainable business online. This article was really eye opening for me. I’m a blogger who wants to make a full time wage off of my snowboarding website. This article has taught me that PATIENCE and EFFORT are the key to success. I will keep grafting when I am out of work and ensure that I get there! I’m thinking about outsourcing some of my content to get more articles written- do you think this is a good idea? I want to invest as much as I can into my website and my real job is holding me back! Outsourcing is the trend now. I think this is a good idea. However, if the writer can write for you, it means he’ll be writing for others too. I would advise you to add in some of your own idea into the outsourced content so there will be uniqueness to your content. Hope this help. Thank you for pointing out these ways to make money online. I am very interested in making money online and at the moment I am trying my hand mostly at affiliate marketing and I think Wealthy Affiliate is a very good way to start, as you have mentioned. The good thing about WA is how it doesn’t hype the idea that you can make quick money but focus on building a reliable business online. Thank you for sharing! P.S. I really like your blog with the abouts on the sidebar and logo. Thank for commenting on my page. I actually designed this logo myself using pixlr.com. You may want to check it out. Yes, Wealthy Affiliate is indeed a great learning platform for internet marketers. I never regret joining until now. Many of my friends are impressed with the progress I’ve made since joining. I’ve been interested in building an ecommerce store and noticed this listed in your article. 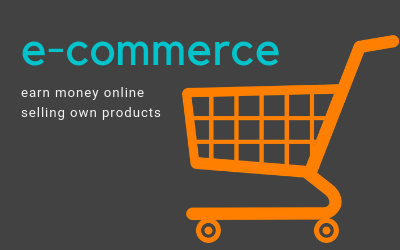 I am curious, have you opened an ecommerce store and if so will you be writing an article specific to this? I am looking particularly for advice as well as what to expect with a store and the potential pitfalls to avoid and costs associated with running a store. I appreciate your help and this article has been very eye opening for me. My focus is on content marketing. I’ve tried e-commerce before but don’t find it suitable for me. If time permits, I will definitely share my experience in e-commerce in future. Thanks for the feedback. Affiliate Marketing is definitely the easiest for any beginners to start earning money because all the hard part of creating a product is already done for you – all you need to do is leverage on other people’s hard work to earn through commissions which is what I’m doing now. Cool info, keep up the good work! Hi there! 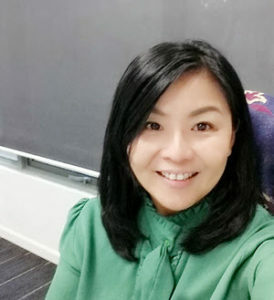 I really enjoyed reading your article, you have given realistic ways to earn money online, and I actually know many people making a full-time income from their websites. I personally prefer the affiliate marketing route, as it gives greater flexibility and no headaches in therms of building an inventory or dealing with customers. Also, I believe affiliate marketing has a much greater potential compared to advertising ads, because you need much less traffic to make the same amount of money. The cost-per-click of ads are incredibly low! but I know many people are doing well with this, so I cannot generalize. Thanks for the compliment. I totally agree that affiliate marketing is the way to go and it is extremely powerful if combined with SEO content marketing. Hi Florence. I am extremely like your website layout. It is designed very professional, also, your site is very informative. By the way, had you joined wealthy affiliate? Could you explain a little bit about them? I heard they are the legit online course that is needed by people who want to become an affiliate marketer. Is it true? I am in fact a premium member of Wealthy Affiliate. Before starting with WA, I’ve paid so much money learning offline. None is comparable to the high quality and support by WA. I’ve written a Wealthy Affiliate Review and maybe you should check it out. There are so many ways to earn an income online that it can sometimes overwhelm most of the people. There are some good ones and some bad ones but the one that I prefer is affiliate marketing. This business model is so easy to scale and does not require a lot of investment. If you are short on cash then you can write most of the articles yourself once you earn money to reinvest in the form of hiring writers to write for you. I think what most websites that promote online businesses miss is to actually have the customer understand how is it possible to make money online. And that’s why some people don’t even bother signing up, as they just don’t believe it’s possible and if it is, they don’t think they’d be able to do it. I like how you list a few different ways it is possible to make money online, and at the same time you say it’s not easy, but not because it’s technically difficult, but because it takes time. Yes, we must make everyone realize that making money online really needs hard work and be persistent. There is no shortcut if you want to build a sustainable business online. Great overview for earning money online. The get rich quick idea boils away with your examples of patience and effort of building these income sources day to day. How long – how much effort – does it usually take before you are making money online? 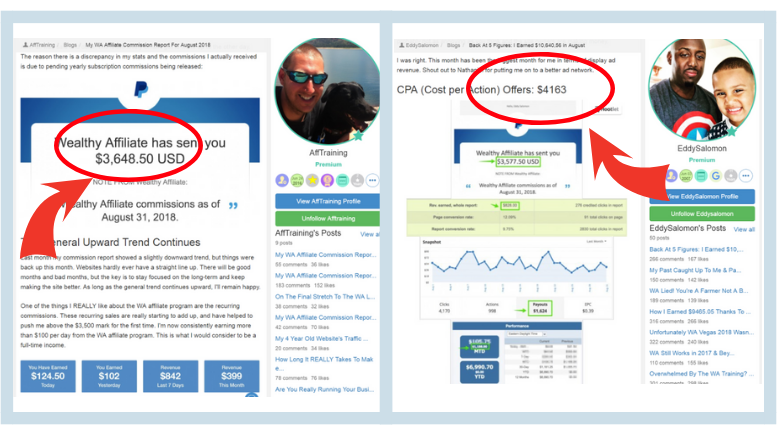 Wealthy Affiliate looks like a great resource for information. You cover a number of ways to earn money – does affiliate marketing work well for you? Real ways to earn money online – thumbs up! I think you hit it on the head completely when you stated that there are many internet marketing gurus out there who try to lure innocent people into scams by advertising how easy it is to make money online. While the concept is easy, I think what people need to realize is that it takes time and effort to put together a great site , and it doesn’t happen over night. So keep on doing what you’re doing, because I think you’re putting great information out there! Thanks for the compliment Alec. I really liked your post, i always do. Building a business online is not that different from building one offline. Unfortunately, like you said many people have wrong expectations. They expect to create a profitable business working an hour per day in a month. This myth is being promoted by many “gurus” like you said and many still believe it. You have to work hard and be patient if you want to succeed online. It can take some time before you find a real way to earn money online, because there are so many scams out there, people just trying to take money from your wallet without anything useful in return. But there are definitely legit places to start your own successful business. My personal favorite platform is Wealthy Affiliate, because it provides with all the training and tools to create a successful website! Thank you for the realistic suggestions, unlike those websites listing 101 ways to make money from home, including using Swagbucks (so that you can make pennies on hours spent), or other survey sites, watching videos, clicking ads, ….etc. and all that useless sort of things. I like the “be semi-formal” trick you mentioned. Now I understand why I’m not quick enough in creating and growing my online business. I will follow your advice indeed. What makes me surprised though, is that you didn’t list Dropshipping here, while many marketers are calling it to be even better than affiliate marketing as it is more scalable, even though it requires more effort and active management. Have you skipped it by intention? or is it just an over-hyped business method that others use to sell their own courses? Yes, dropshipping is one way through ecommerce. I’ve yet to try but seems to me is another name for affiliate marketing. That’s why I skip. Is there a difference? For me it has not been really easy, I am new to online business and ever since I have been searching for means to make extra cash online. But I don’t know all I have been coming across will either be a scam or their policy would not be favorable. But I’m glad am on wealthy affiliate, I have not started earning but at least from the projects I have at hand I know that in no distant time I will get there. you talked about per to per lending, I like the idea but is it safe? I can’t say it is 100% profitable but to certain extent, if you invest with trusted platforms like those I recommend, there is lower risk involved. However, you still need to do due diligence before doing any investment. Making money online is not a just set it and forget it. It takes work to get to that point. Once there though, I have heard that once you have an audience you can make a lot of money off of a blog website. This article did definitely open my eyes about all the different ways that a person can make money online. There are tons of different ways but none of them seem to be little to no work. In your opinion is there one way that is the best over the rest? Have you gotten good results from that way? Yes… results can be achieved with hard word and consistent action. Personally, I prefer to start with a blog, then continue with email marketing and social media. I’ve been building my blog and it is possible to see result in less than 6 months. Just have to keep doing and don’t give up. I build my blog with Wealthy Affiliate if you are keen to do the same. It is free to start. There are some excellent ways to earn an online income here, and so many different ways too. The one that appeals to me the most is the freelance writing, but I am not sure I would have the time to commit to this long term. I would be a bit wary of the one where you lend money, in case the loans aren’t paid back. Affiliate marketing is the easiest long term, if you are willing to wait for your money to start coming in. It is hard work to build a website, but it doesn’t feel like hard work when the topic of the website is something you are passionate about. You are right Michel. Passive income by selling affiliate products is possible, but like what you say, it needs some time to build a solid website to achieve this. I like a lot of these ways, I prefer though affiliate marketing through blogging, Cryptocurrency investing, P2P lending and self-publishing (which is my niche). For P2P lending and EU citizens, I would suggest Bondora. What the comprehensive list of Real Ways To Earn Money Online. Although I am in the Internet Marketing business for about ten years, I have covered just some of the listed points. Those are Blogging to Earn Passive Income, a little bit of Cryptocurrency trading and mining, some years ago a little with Forex trading. Currently, I am building a couple of authority sites mainly to earn money as Amazon Affiliate. You mentioned that A commisions are small compared to many others, but Amazon Affiliate programme is solid and hard to believe that it could disappear on the next day like many others. Great list to be bookmarked in my favorites. Thanks. Hi there. I am thinking of getting into Fiverr with my graphic skills. I’ve done some projects and feel that I have the experience dealing with customers. Of course, I do want to be paid more than $5, but I thought it may be a good platform to start. What suggestions do you have for attracting more visitors to my gigs? Thanks. Hi Cathy, maybe you can try to upload all your previous work onto a website so your customers can easily view them by simply a click. If you haven’t got any website, here’s SiteRubix where you can build one for free quickly. Wow, what an awesome post on different ways to make money online! I really enjoyed reading it. The way you styled this post makes it so much more than just another boring article. I also really liked how you emphasize that there is no one right way to do things. So many other people try to market one product so that they can earn more money. But you give your readers more options. Thanks. Thanks for the compliment. Personally, I believe in keeping focus on one project before moving to another one. Therefore I stick with affiliate program by Wealthy Affiliate this year. If you are interested to start online blog business, you can start one here fro free too. Will start another niche blog by early next year. Holy moly Florence. This is quite detailed and very well done. Quite frankly, I only make money with affiliate marketing online but I really appreciate your thorough list of other ways to make money. Cryptocurrency was huge before, but I think it’s not the best investment frankly. It’s not really in your hands on how much money you make. I think anything that you can control and work hard with to earn is a good way of earning money. Again this is just my opinion. I want to ask you though, do you think that it is better to find different ways of making money online or is it better to just stick with one and work towards that? I feel that getting your hands on a lot of things make your distracted and never really do well because you know little about a lot of things but don’t know a lot on one. Personally, I prefer to focus on one project at a time and will only divert my attention when I see substantial results. Like this blog of mine, I managed to see results after few months of hard work. And planned to start another niche blog by early next year. Hope this helps. It’s surprising that there are numerous places where you can sign up as a freelance writer and make a good amount of money. Still, if you’re going to make a living as a writer, I think it’s best to do the writing on your own website. If the companies are willing to pay $800 for an article, the article probably has the potential to make a lot more. Also, if you write for somebody else, you only get paid once. The same article on your own website can continue to make money for years. True. That’s the power of earning passion income by promoting affiliate products. Many people think this is not possible. But in fact there are so many success stories of bloggers who actually made it. Here are some inspiring stories that I would like to share with all. I totally agree with you! There are so many ways to make money online! What I like about your article is that you enumerate all REAL ways to do so! There are so many “get rich quick methods” and “snake oil salesmen” on the Internet today that it is difficult to find someone who talks the “real” talk! Your list has a lot of great ways to make money and they all have their advantages. However, like you, my preferred method is blogging, it has the advantage, for me anyway, of being capable of writing my own story to the world, and in the same manner, helping my audience as much as I can. I do tend to be impatient, and when the results are not there, I sometimes get discouraged. But this article, if anything, as thought me that constant effort and patience is the real key to success. I have bookmarked your website to help me when I need an uplifting! Glad this article can push you a little when things seem hard. Blogging indeed test our patience. Keep up the great effort! Great and marvelous post!! There is so much information to take in that i might have to bookmark your website. Being Flexible is definitely something i have to apply in my day to day life if i want to start seeing results with my online business. I would say my best way of making money online has to be affiliate marketing because it requires little to no income to start. Even though crypto currency is gaining steam gradually i still hesitate to start any real investments with it simply because its not yet recognized by most retail company’s. However, i would love to know more about it if i ever get the chance. Once again, thanks so much for sharing this. It was really helpful and i appreciate it!! Very impressive collection of information on the subject of online business. Authoritative take on the subject. Clear and concise and to the point. Thanks for such great share. Hi, how are you? Thank you for this post. And it is true what you said at the beginning, the key to work from home is the organization. It is believed that when working from home everything will be easier, but this is not always the case, in my particular case I have to take care of my 14-month-old baby, who has just learned to walk, it is difficult to find the time to be able to take care of him, doing household chores and also working on my website, is difficult but not impossible. The method I use right now is affiliate marketing, and I’m doing great, but it’s good to know that there are many other ways to make money online. Affiliate marketing is indeed a great way to start online business. After you setup your blog, then I suggest you to start to build your email list so you can continuous provide good content and offer to your subscribers. Thanks for the suggestions on how to get more organized. That’s something that I tend to struggle with a bit and I know that it costs me time. It’s true what they say, time is money, so I don’t want to waste it. Your suggestion to set specific working hours is a good one. That’s one thing that I can do right away to improve my productivity! Yes, me too! Hopefully I can be more productive especially in creating content. Thanks so much for sharing a good article to read to know more about some different ways to start working from home and make money online. I’m interested to know more about it, and your article gave me some ideas to think about, I already took some notes and I will be working on one idea. This was an interesting read. Thanks for the post. You’ve given me much food for thought, in the arena of earning money at home, though, to be honest, I do feel like the infant seated behind the laptop: comfortably seated with hardly a clue on how to proceed. I like your suggestion of taking a closer look at something that wouldn’t require an investment in paid advertising. I’m not exactly in a place where I can go that route, at this point, anyway. And I am willing to invest my time and talents in becoming successful. I’ve got some writing experience and would eagerly pursue something like you’ve suggested, so that I could one day work from home. I confess to being a little impatient, but I realize that anything worth investing in takes some hard work and an ability to see it through ’til the end. Thanks again. Regarding cryptocurrency, I believe that this is quite risky, as this particular industry is not regulated by the authorities, I understand anywhere in the world. I think that I will wait a bit longer and see what regulations and the like are implemented by an appropriate authority in the future before proceeding further with this. As you say in the article, “make sure you understand the risks before you start”. I think that is very good advise. You are right. I started to invest in cryptocurrency during boom time. Don’t really understand it well and ended up losing money. But I won’t say this is a scam. Just that every investment comes with risk. So now, I focus blogging my way to success. Despite is not easy, but it really gives me solid income. Here’s how I started. I’m always baffled by how many ways there are to earn money online nowadays. I myself have blogs on which I promote affiliate offers and I’m getting more into email marketing. I too felt like making a blog and ranking it on search engines was the best way to go. It takes a lot work and time to set up but at least you’ll always be writing or making videos about something you’re interested in. Glad that you like this post. In fact there are so many ways to earn money online and what I’m sharing here is only a tiny part of it. I also prefer to blog my way to earn money online. Been offered numerous time to write for others but I rejected most of it. Since joining Wealthy Affiliate, I never regret making the decision to start online business. this was a really informative post of different ways to make money online . I knew if of all those listed but never dove into most of them. Right now the only ones I am personally doing is leveraging affiliate marketing, email marketing with my blog. Since I love to write I just thought blogging would be one of the better ways for me to get my word out and make a Passive Income. Even though it does take a good while of hard work in order to get rankings and research for good low competition keywords. I feel like it is one of the better things that has happened in my online career and I love it. How long have you been with WA? The one thing. I like about this is you went into detail about just about every way possible to make an income online whether that was passive or active Income. Plus you listed different companies within that niche in order to give people options if they are interested in that certain way of making money online. Glad that you find my post useful. I’ve been blogging since 10 years ago and only become serious in recent years. I enjoy writing and creating my own content. That’s why I joined Wealthy Affiliate 3 years ago to start looking into monetizing my business blog. I really like your advice on being organized. In my business, I felt that setting goals really helped me stay on track. I would like to add that people need to do self care in order to be successful in their business. Set aside time to do the things they enjoy. People really need to exercise caution before doing P2P lending. There are reasons why banks don’t accept loan requests from everyone. Some people are not trustworthy! I’m also confused. How can you sell things on Facebook? Here are ways you can sell on Facebook. Amazing information! I’m glad I found this. I always wanted to work from home, but I didn’t know where to start. I love your honesty that there is no easy money, it requires hard work and efforts. I’m gonna bookmark this and will spent time researching which is best for me. I have a baby girl that I have to be home for her and been looking for things that I can do from home. I will also share with my friends for them to check them out. Thanks! You are welcome Emily. I ended my manicure business 8 years ago and work 9 to 5 because I need to spend more time with my son too, especially during weekend. Now he has grown up and finally I am able to quit this job soon to start focusing on blogging. Mothers are always the best! This is really great list of opportunities to explore. While I’m not looking for any additional “trade time for money” option, I’m open to building a passive income business. Looks like affiliate or email marketing are the most suitable options. I’m done wasting time on surveys. Just one word about cryptocurrencies – investing in them is not a job, it’s gambling. In fact, I’ve some friends who earn decent dividend income from cryptocurrencies too. But definitely this is not for me. I still believe putting in effort to earn an income is more reliable. That’s why I started blogging with Wealthy Affiliate.